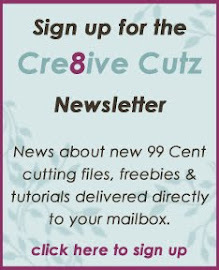 Cre8ive Cutz - 3D SVG Cutting Files for Electronic Cutting Machines: Video Tutorial - Creating Nested Shapes in Make the Cut! Video Tutorial - Creating Nested Shapes in Make the Cut! In addition to designing my more elaborate files (purses, etc.) I often turn to Make the Cut! 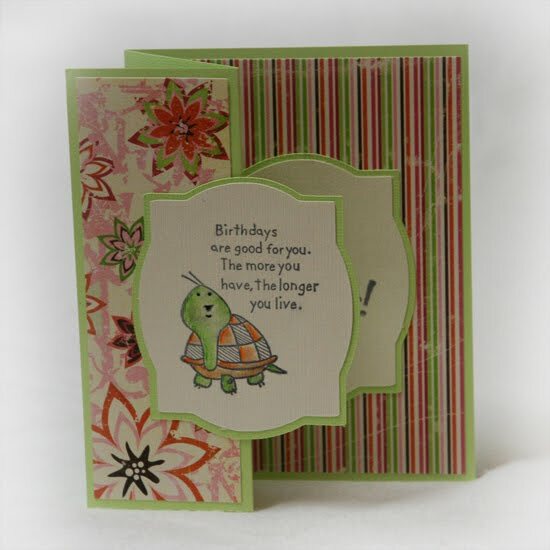 to quickly create simpler shapes for my card making projects, rather than spending a ton of money on large punches. For this card, I've created a simple nested shape that I used on the front and inside of the card to stamp my image and greeting on. This video tutorial demonstrates how to create nested shapes in Make the Cut! Enjoy! Great tutorial. I was wondering how to create them so that the size is even all the way around. Your explanation was very clear. Wow, this is great, your tutorial just saved me some $$$, was saving up for a similar die. Thanks so much. Great tutorial. Thank you. As a learner I gained a lot from your video and I am grateful because it will speed up the learning process. Just think, you make two sets of similar shapes, and you almost have paid for the program instead of buying the die-cuts! thanks so much for the tut!